Iron Cupcake is expanding its empire with the new Iron Cupcake: Chicago to launch June 1st at 6 pm, organized by Irma of Beautiful Cakes (also see her Flickr stream). 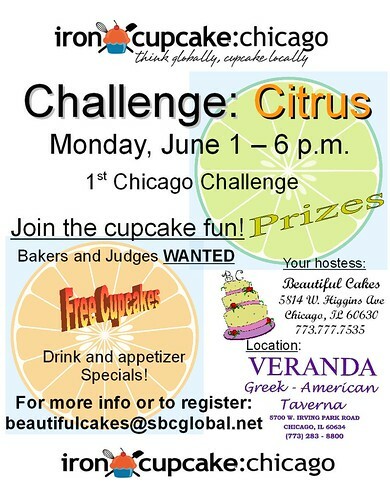 Contact Irma at beautifulcakes at sbcglobal.net to get involved in Iron Cupcake: Chicago. I think we all agree that Natalie from Bake & Destroy should go & rock this!